Credit: Video games as Live Performance was an MFA thesis experiment created by Robert Mallin that explored a new approach to the presentation of video games for a live audience. 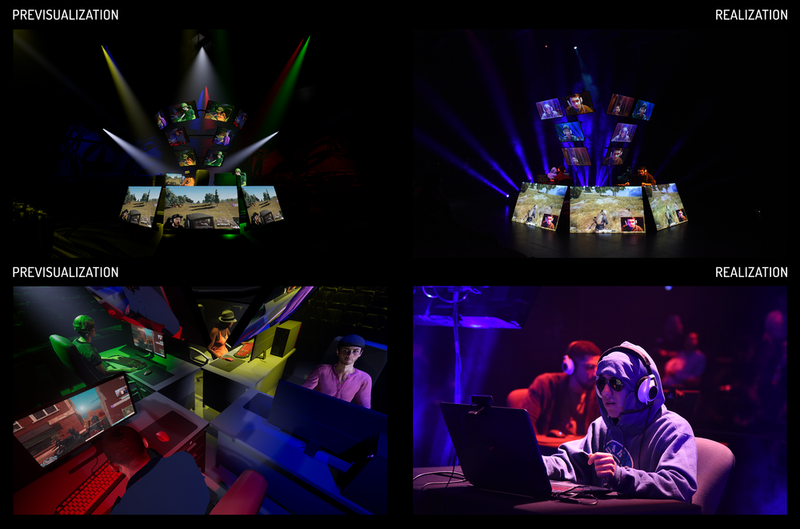 Although inspired by Esports and TwitchTV, this thesis was primarily interested in creating a live performance first and competitive play second. Robert acted as the Producer, Director, Artistic Director, Media Designer, Scenic designer, Sound Designer, Technical Director and Emcee.